I have enjoyed the dyeing stuff, love to hear that other people get things wrong as well as me! Already excited about next series sounds really good. Saturday morning in Australia. Up at 5.30 and listen to Cast-On with coffee on one side, a fur child on the other and knitting in my lap. Perfect start to the weekend. Oh, and I’d like to a good spinner today. Thank you, Brenda. I look forward to the theme of the next series. It’s a topic that comes up a lot in the online knitting community, and I imagine that the discussion of it on your show and elsewhere will be thought provoking. Thanks for the links! My day was, to borrow one of your phrases, a dog’s breakfast. An hour with a good podcast and a sock has turned that around. Thank you, again, for keeping us informed, entertained, and inspired every week. I really needed it today. Oh, the evil YouTube. I got stuck there for over an hour earlier today. Be sure to check out the David Hasselhoff “Get Into my Car” video if you haven’t already. It always makes me laugh so hard I cry. Thanks for helping me get the word out about the podcast! I loved the episode and am so looking forward to the next series! The topic sounds so interesting and I love the philosophy that seems to be behind it. Thank you again! I loved this episode. Bravo on the Creative Commons piece. Copyrights have always seems so stifling – now I know why. Keep up the good work. Just wanted to thank you for using my song. Don’t want to get you sucked further into YouTube, but I saw this on a knitting blog and wanted to share it, too! Check it out. I listen to Cast-On while spinning, and today you relaxed me enough to produce my best skein yet. Thanks! I’ve only been spinning since April, and I too get up wanting to be a good spinner today. I sure yearned to see pictures of the wool being processed and the faces of the different people in The Wool Museum. LOVED your intro./essay-ish piece on’Common Creative’!Very thought provoking in many ways. THANK-YOU!! Better start taking those vitamins, Brenda. Big job ahead of you. Before I forget, I also want to see the jar of avocado peels…. This week’s podcast was fabulous! I loved my visit to the wool museum–it’s just the sort of place I would want to go if I ever get to Britain. Thanks for taking me along. P.S. I finished my first pair of your socks, but in the spirit of creativity, I used my own heel and my favorite toe! They are lovely–you are a great designer. Brenda – I love your podcast! I just discovered it today and can’t resist sharing that I couldn’t help but snicker when I heard about your nesting teapot & cup. I bought myself one of these earlier this year to keep at my desk at work. The cup took some getting used to since it’s so freaking wide! Thanks for the creative commons piece, Brenda. Inspiring (and what is more, relevant – don’t ask me how – to my essay on Mortality. Anything that gets me back to work has got to be a good thing! Brenda – I downloaded all 37 episodes last night while out at dinner, then got up early this morning, set myself up with my cup of coffee, my scrambled egg socks and my iPod and listened to episode 37. I loved it. It was calm, extremely informational and very interesting. Thank you for providing such a high quality show. I am so excited about the idea of an online knitting encyclopedia. I’m sure many of us will help you! Brenda, I don’t think you’d have had occasion to know this, as I don’t recall mentioning it, but my great-grandfather (after whom I am named – not Mel, but Emuel) was a millwright in the textile mills of the Carolinas. As he passed away when I was 5, none of the craft got passed down to me. Also, my mother’s parents worked in the fields picking cotton when they were young and later in the textile mills, so I grew up hearing their stories. 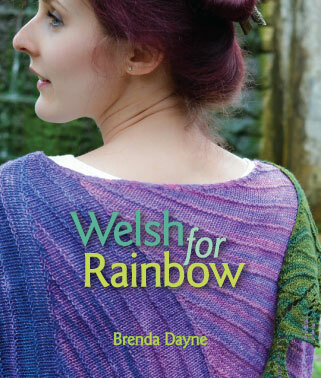 I love the pieces on Welsh textile history in this series especially because of the parallels to my own family’s history. I think in some ways this lack of interest in persnal creativity is a generational thing. I’m 57. My mother taught me to embroider, crochet, knit, sew, cook, and bake. We made all special occasion clothing for all of the female members of the family – including handbags and hats. We would never have thought of (and I still would not) think of purchasing “kissing balls”, Christmas cookies or other seasonal ephemera. Mom (and I) still weight the time and effort needed for DIY before we actually buy something, and the handmade gift is still the gold standard in my family and my partners. My father and his friends met monthly to play jazz together. In short, for us DIY was the default instead of the aberration. I think things may be swinging a bit in the other direction among the younger generation. Now it’s not so much old fashioned to make it yourself: it’s Indie. Thanks for yet another wonderfully inspirational podcast. I got the impression the colour of the yarn you dyed was not quite ‘ perfect’ and in searching through my library I caught site of the book natural Dyes by Gwen Fereday which was a pressie from my friend Maggie who on receiving some old rose died yarn from me, sighed and said…its lovely but not quite the red I like. Your story encapsulated my first dying efforts, the wool was great, the colour..hmm interesting…and my moral died within the dyepot. Is it called dye for some reason…. On other occassions, magic can happen in the dyepot so don’t give up. To test the colour of the dyebath, you can dip in some kitchen towel and that should give an indication of the colour. Maybe your colour could be crimson? Mix the cochineal to a smooth paste with a little warm water in a stainless steel pan, Add 4 pints of cold water to the paste. Stir well. Put in the mordanted wool and place on a very low heat. Bring to the boil very slowly and gently simmer ( you kow about that one) for 20 mins. Remove from the heat and allow the wool to cool in the pan. Remove the dyed wool and wash well in warm water and olive oil soap ot any other natural soap. Rinse the wool until the water runs clear and then hang out to dry. On another note, I wish too that you could do this fulltime, you have no idea how much your podcast has helped me over the last year……. Hi Brenda, I wanted to send a HUGE THANK YOU for mentioning Chrissy’s “Karen’s Sugar-Free Diabetic Walk Socks” pattern! I am so overwhelmed and grateful for the support and response the knitting community has given my fund-raising efforts, through the purchase of this pattern and through donations at my walk page. Thank you so much! I just wanted to let you know that I found your discussion of the creative commons and copyright very thought-provoking. Currently, I have pretty strong leanings toward copyright, but I think that your exploration of the subject will be really interesting. In terms of knitting, I think our copyright laws do a pretty good job of protecting creative works from outright thievery, while still allowing for a lot of use in the vein of variations on a theme. The only times I’ve felt compelled to pull out the copyright laws in terms of my own content were two instances where people were taking my FREE patterns, stripping them of the copyright notices and offering them FOR SALE to unsuspecting knitters who didn’t know they could be had for free. Very upsetting indeed. Other than that, I think the most useful thing that copyright does is ensure that artists are paid for what they do. It’s nice to know that if I create a book of patterns for sale I will be the only one who can profit from it, rather than letting anyone and their brother filch my stuff and make a living. I don’t mind at all if someone uses my patterns as a starting block to do something of their own. My other observation is that I think its quite possible that copyright is not one of the root causes of this consumeristic lack of creativity, but rather a response. Having studied copyright law and briefly practiced in that area, I can vouch for the fact that a lot has gone into finding a balance between fostering creativity and protecting intellectual property (a 20th century construction, I know!). Having said all this, might I suggest you interview an intellectual property lawyer for your next series? I am quite sure that there must be one out there who is also a knitter. It could be really interesting. Anyhoo, just wanted to let you know that regardless of my current thoughts on the matter, I’m eagerly anticipating hearing about yours. Have a great break and be sure to take some time to knit! Must post a Briar Rose rave: my wonderful mother took me to a fiber show for my 30th birthday, pointed me in the direction of the vendors, and told me to select my present(s). As you can imagine, I went through the entire place several times, and finally settled on Briar Rose. Nothing but Briar Rose…enough yarn for a sweater, shawl, and pair of socks, all from Briar Rose. They didn’t have enough for the sweater, so they dyed it to order, and sent it to me. Okay, all I can say is thank you for what a wonderful evening this podcast gave me tonight. Our power went out, luckily after the kids were all asleep. Since this made it impossible for me to watch Law & Order reruns (don’t even ask!). So I got the camping light (yes, it takes a very big battery), lit one of my wonderful Lemon Tart candles from, of course, Dame Candle Company, and knitted away on a bag (to be felted) I am making for my oldest. The house was quiet, the room smelled wonderful, the dogs slept peacefully despite the thunder, and all felt right with the world, for a little while! Tomorrow, I’ll be back to listening on the fly (well, in the car), but thanks for the chance to pick up my pointy sticks with you! Brenda – I totally got your Bling essay last week as would anyone who has got to know you from your podcasts. It seems to me that there’s always someone who will take offence when afforded the slightest opportunity and enjoy writing a comment to that effect. As you know, I love your podcasts…I listen to every one! I also wanted to say I loved your Bling essay. Travelling companions can make or break a journey–and it is precisely those thoughtless chatty people in the quiet car who don’t think of others that can ruin a long trip…and there are some subtle implications when it comes to too much bling…to people in the diamond mines and others. I think the negative comment was, perhaps, a person who felt defensive? Thanks for another great podcast. I listen to your podcast on my daily commute. I only wish I could listen to you every day, rather than just once a week. I know, that’s selfish of me especially knowing how much work you put in to each and every episode. Anyway, I just wanted to say thanks and let you know how much I enjoy listening to you. I really enjoy your podcasts. It’s great for a bit of relaxation and I feel like I’m hearing from an old friend. By the way, it you are looking for mordants, Fibrecrafts have a range of them. Try http://www.fibrecrafts.com (no affiliation). I, too, have just begun listening to your podcast. It is very good – well produced, well hosted and well done! 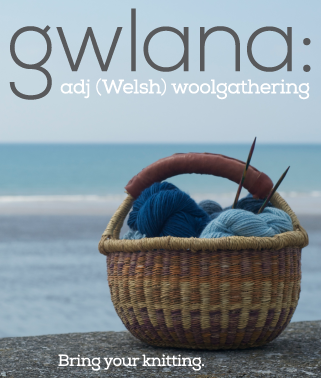 Anyway, as a newbie knitter, I would really be interested in the idea of a “wiki”-type knitting resource. Especially since I google “free knitting pattern” over and over just to find the right ones. If we could have a place to go and find *all* of them. Wow. Not to mention the huge range of overall knitting knowledge. It’s astounding to consider! Even though I’m a newbie, I am a grammar nazi, so if I can help in any way, please let me know. Here’s hoping that so many people take you up on your donation suggestion that you can’t name them all at the end of your podcast! Hi Brenda. I love the idea of a “Knitipedia.” Also, I think you’re very right about people and creativity, how people used to be creative and corporations have taken it away from us. I have a theory that people need to be creative or they go insane, that creativity is a fundamental human need. Loved the episode and I can hardly wait for the next series to begin. Thank you for sharing a part of yourself with the world – you’ve blessed this knitsib in a huge way! I DO NOT knitt sweaters, don`t know how. i do socks for my family and my friends.